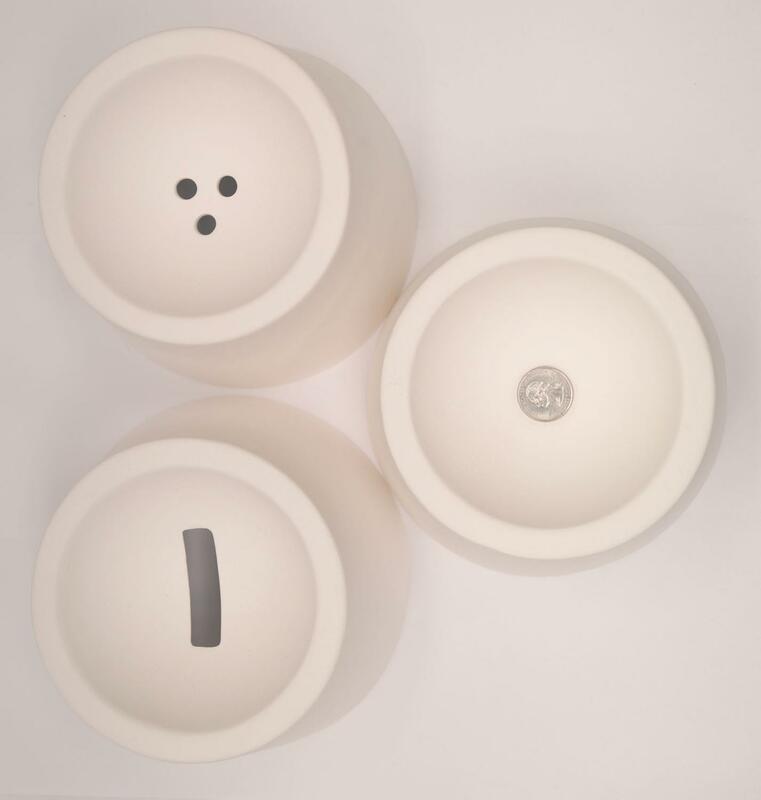 The pot melt molds we love - now available for table top kilns! Create all the pot melts you desire with the Mini Pot Melt Assortment. 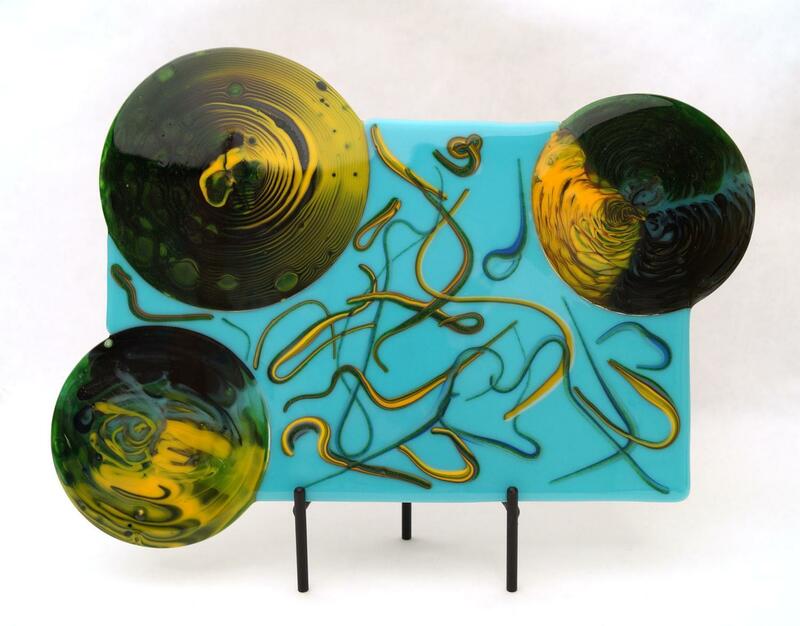 Stack your fusible scrap glass into this exclusive mini pot melt mold to create dramatic one-of-a-kind marbled glass. 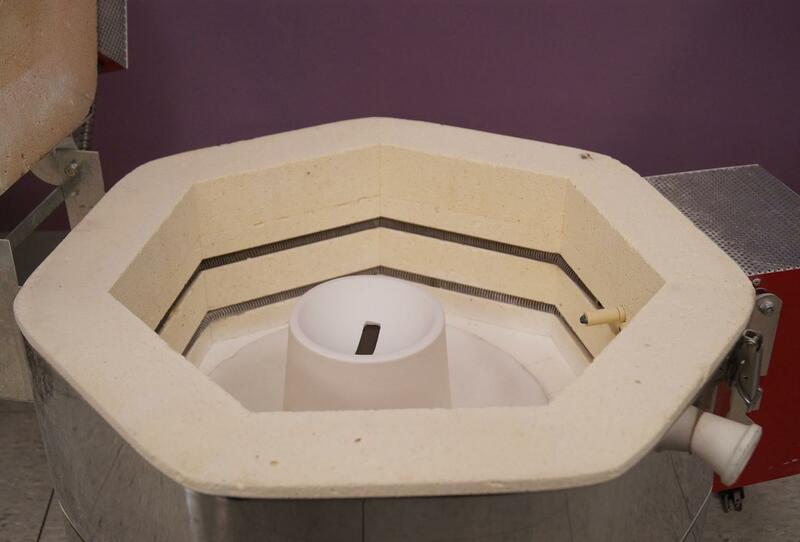 Simply coat both the inside and outside of your mold with ZYP mold primer, fill your mini pot melt with fusible scrap glass and fire. Once hot, the glass will flow out of this mold and onto a kiln shelf below. Unique base traps glass and works as a dam mold below. 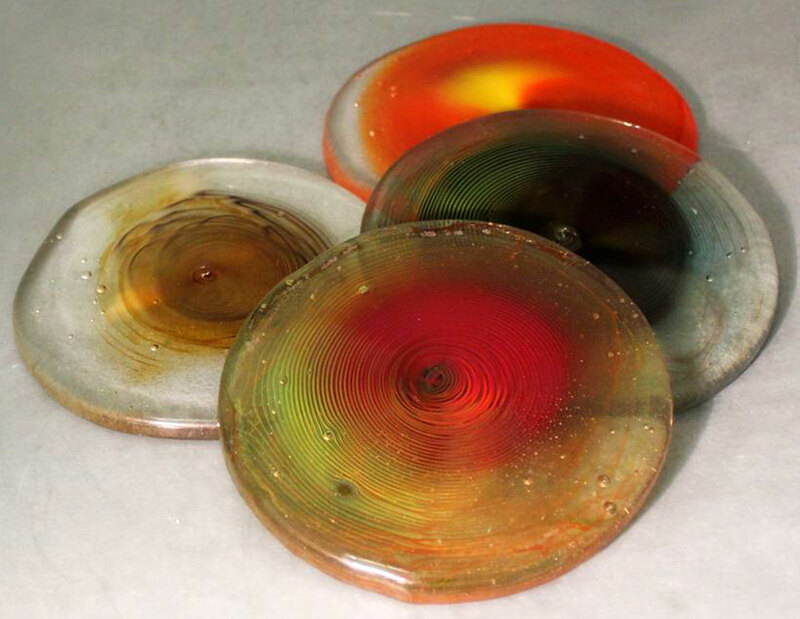 By coating the mold with ZYP Boron Nitride Spray release, the glass will flow through the mold completely leaving it clean for your next firing. Assortment includes 3 designs - single hole, multi hole, and rectangle hole. See additional images for detailed instructions. 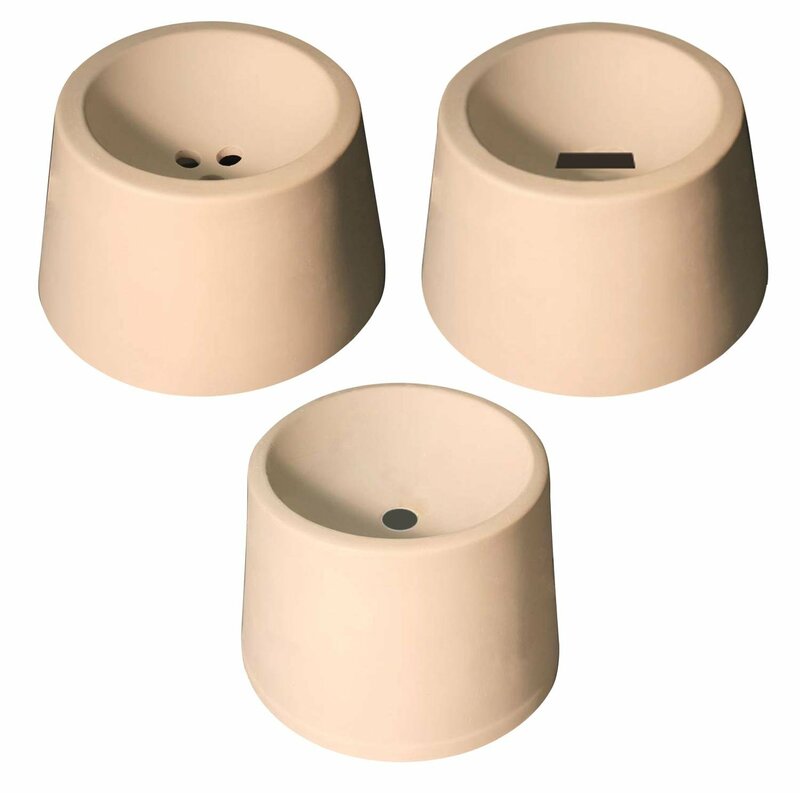 Designed to fit small kilns. Image shown in Delphi's EZ Pro 15-6. 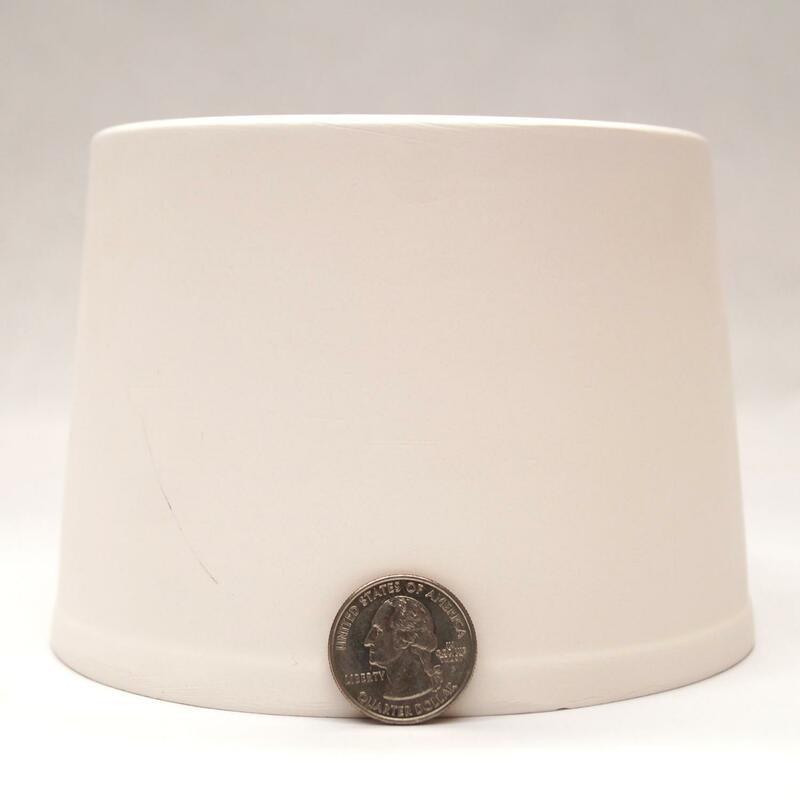 Durable ceramic molds interior diameter 4-3/4". Molds measures 5-1/4" round and 3-3/4" high. A Delphi Exclusive. Pros : Have the larger set so these allow me to create smaller melts and use less scrap. Like the enclosed sides. Pros : following the instructions results in interesting patterns in the fused glass and what little residue was left lifted easily off the mold.